The crazy rain on Friday night didn't stop us from having a fantastic time at our Fall North Carolina Blogger Buzz! Angela, from Head to Toe Chic, and I co-host a mini blogging conference, and have a great time doing it. The NC Blogger Buzz is intended to create a wonderful community for NC bloggers, and to provide an atmosphere of learning and growth. Vestique in downtown Raleigh was our wonderful host for the evening. I'm in love with their store, and they have such wonderful and helpful ladies working there, so it was such a great place for an event! We first had small group discussions, where we shared blogging tips, discussed do's and don'ts of blogging, and got to know each other so much better. Hannah from Swirl of Cinnamon provided all of our yummy food for the evening. (Make sure to like her FB page for all sorts of yummy recipes.) Pecan pie bites, pumpkin cupcakes, meatballs, all sorts of delicious treats. Why didn't I sneak a to-go plate??! 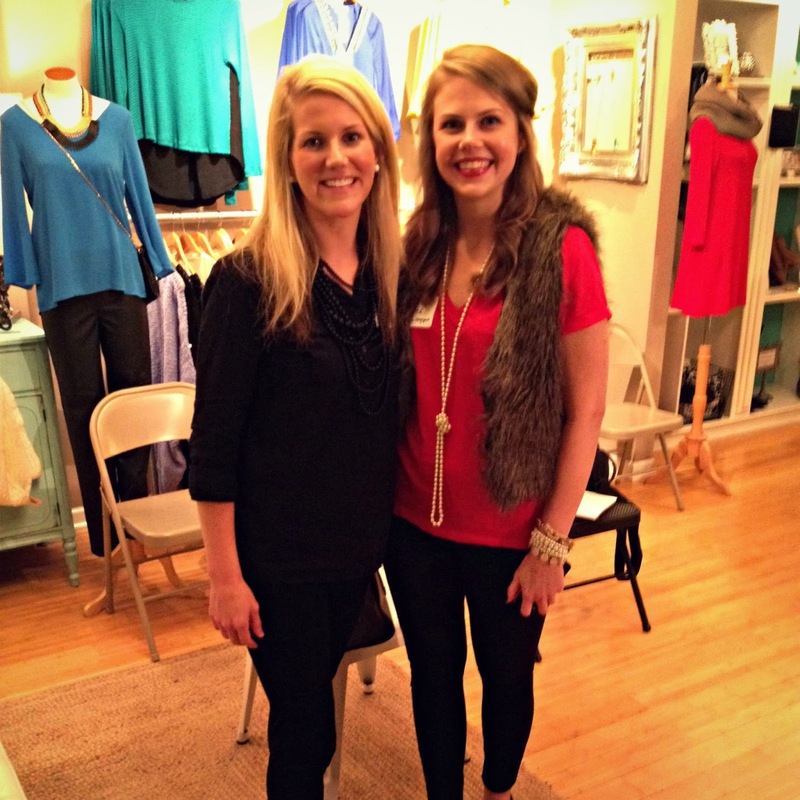 Chelsea from Haute Child in the City was our main speaker for the evening. Chelsea spoke about balancing blogging with life, and she was beyond incredible. She is one of my daily blog reads...I just love her and her blog! We had the most amazing sponsors. You'll definitely have to check them all out! ^^Me and Jenn. Such a sweetheart! And I'm obsesseddddd with her entire outfit. She got her vest from H&M, and I tried finding it, but failed :(. When you're done with it, Jenn, I'm so serious about buying it from you! My sister, Jessica was so awesome and came with me to help out with everything. Couldn't have done it without her! Instead of the NC Blogger Buzz being a quarterly event, we are changing it to twice a year…so the next mini-conference will be in the Spring. 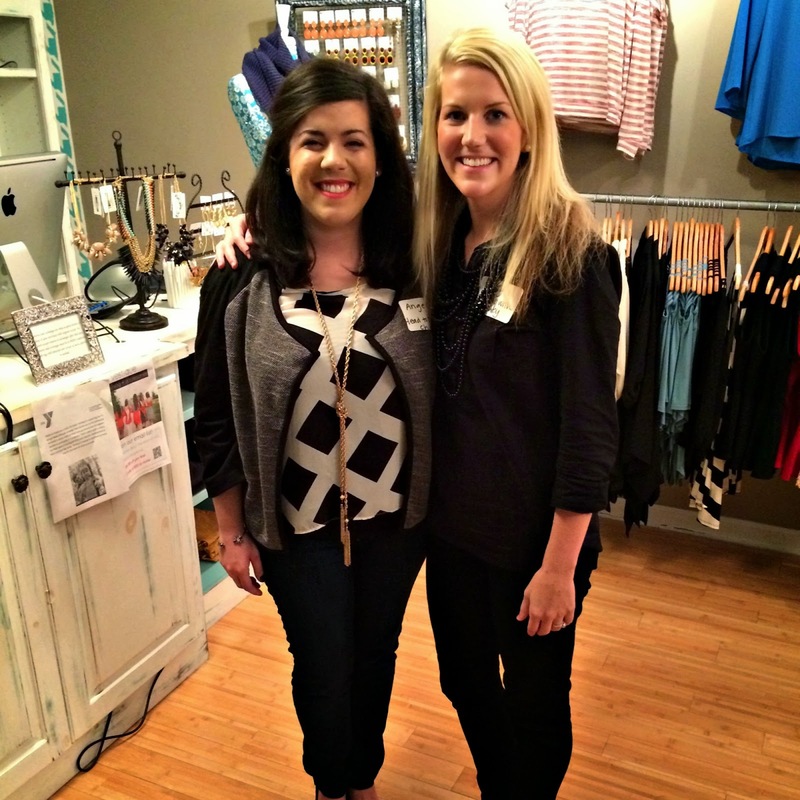 If you're a North Carolina blogger, we'd love for you to come! (Be sure to like us on Facebook so you can stay up to date with events.) We'll also be doing a summer social activity in-between conferences, so that is something to look forward to as well! Looks like another great event! Hopefully, things will have slowed down for me and I can actually make it in the spring. Have a great week! I love vestique!!! (: Looks like a great time! this looks like so much fun! i would love to attend something like this! you girls are all gorgeous! Thank you for hosting this with Angela! I had such a great time and was so thankful for everyone's sweet and loving hearts. I cannot wait to attend the spring event! wow wish i was there! what a fun time! xO! 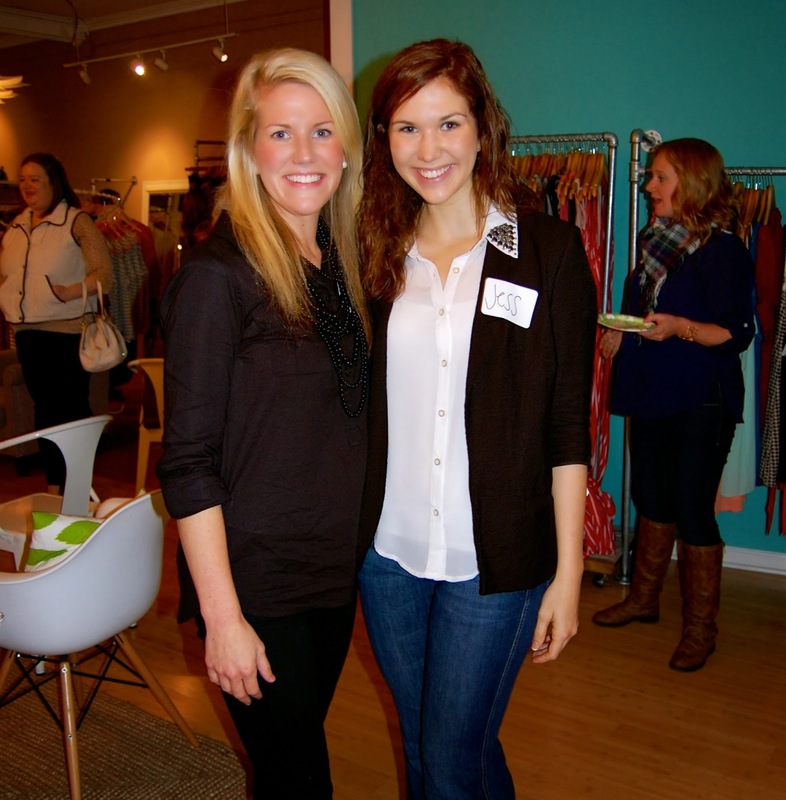 Makes me wish I could live in NC for half of the year ;) what a CUTE boutique to hold an event! That food looks SCRUMPTIOUS, I could seriously eat every last one of those pecan bites!! How sweet of your sister to come help! It was such a fun time! Thanks to you and Angela for all you did! i'm so jealous I don't live by you guys!! how fun!! and everyone is so cute! Such a wonderful event and such a fabulous group of ladies! Thanks for having me speak-it was a blast! I'm so glad I came! I almost backed out due to the horrendous weather and long drive, but I would have missed out big time. Especially on the amazing scarf I scored! I can't wait to style it this week and write up a post. I love your heart for blogging and for linking us all up. Thank you for hosting this! I can't wait to come next time! What a great turnout! You NC gals know how to host a get together. :) Hopefully I can make the next one. This sounds like a blast, yet again, and you all look great! Hey Ashley! It's Kristin McKnight from your childhood, ha ;D This is so cool that you've started this. Makes me wish I was back in N.C., and not Hong Kong, haha. My sisters and I started a blog together recently at callhomedear.com about travel and other lifestyle fun, and we looove blogging tooo. I also happen to be a big fan of conferences, so way to go on starting something like this in the N.C.! I am SO SO jealous that you have such a fun group coming together like this! I've tried this in Florida but we all seem to be very spread out! Great job putting it all together! I love hosting these with you!! I'm seriously so proud of us :) It was so great to see you again today! oh how fun! If only I weren't 3 hours away! Looks like so much fun...wish I lived in NC and could join! What a fun idea - I wish I'd known about it! I live just around the corner from there and definitely need tips on balancing blogging and life :) Plus, it looks like a great group! When is the next one? I love that you two have kept this going and it's been so fun to see it grow!! I would love to know the scoop on the do's and don't of blogging. Curious what everyone thinks!! This looks like it was such a fun event! 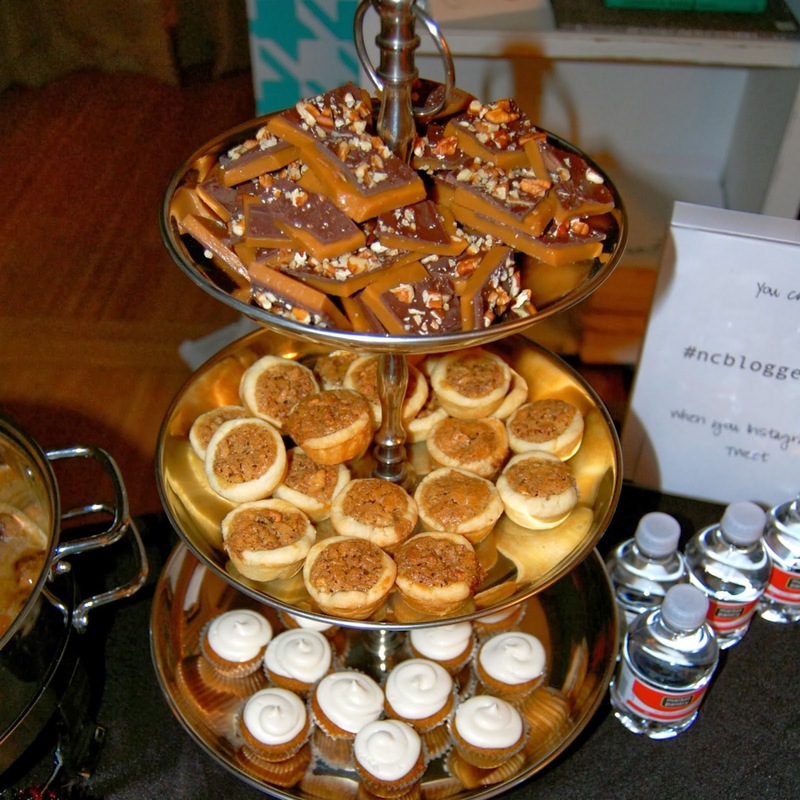 It's pretty awesome that you co host it :) What a great way to connect with other local bloggers and learn more about blogging in the process. I'm so sad I missed this one, but I'm looking forward to the opportunity to come to the Spring Conferences!!! What fun! You ladies had such a fun idea! This sounds like a great night! Do you live right in Raleigh? About half of my family is in High Point area and I am in love with it there. So pretty!